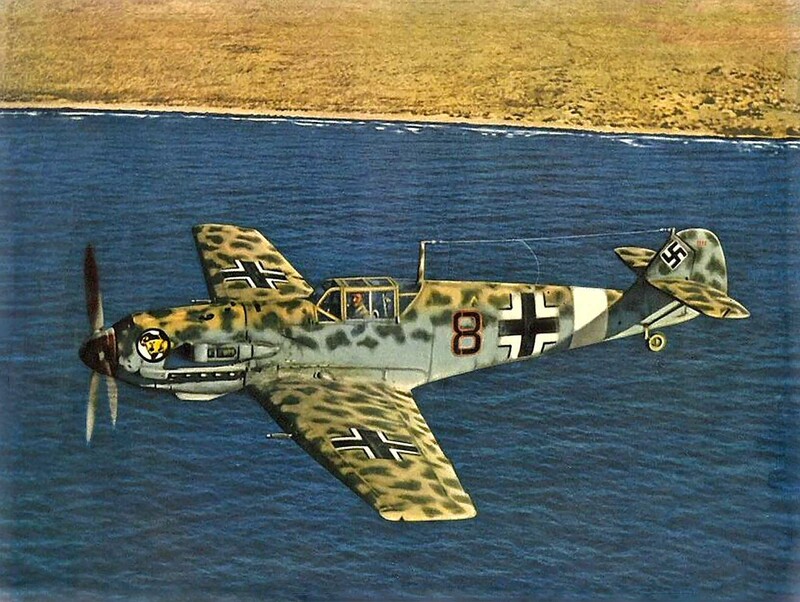 Color photo of the Second World War: German fighter Messerschmitt BF.109E-7 Trop in flight. Airplane “Black Eight” from 2./JG27 (2nd Squadron of the 27th Fighter Squadron). According to information from various sources, the aircraft is operated by either Werner Schroer or Franz Elles.